Give your home the Prestige treatment. 1. Improve the value of your home. 2. Make your home the envy of the neighbours. 3. Protect your home from costly rain damage. Prestige Roof Restorations use Permashield, a premium 100% acrylic exterior coating, which can be used on clay, concrete & iron. It produces a long lasting finish and has a good resistance to weathering. Ask our friendly staff about our Prestige EziPay system, and pay no interest ever. From as little as $20 per week, you can replace your gutters and downpipes. 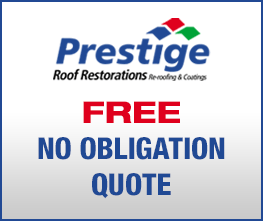 Or, from just $35 per week, you can restore your entire roof.